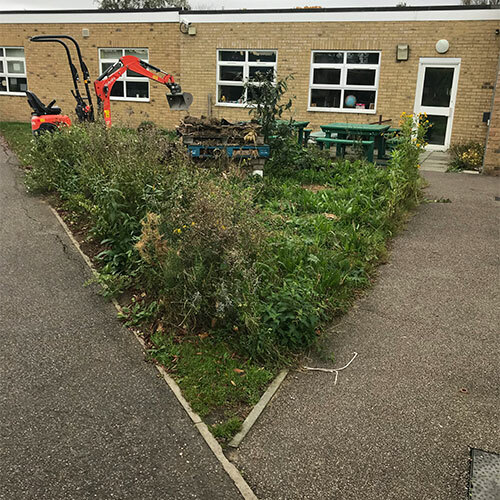 This Junior School in Basildon, Essex asked us in to sort out an overgrown area outside their classroom. 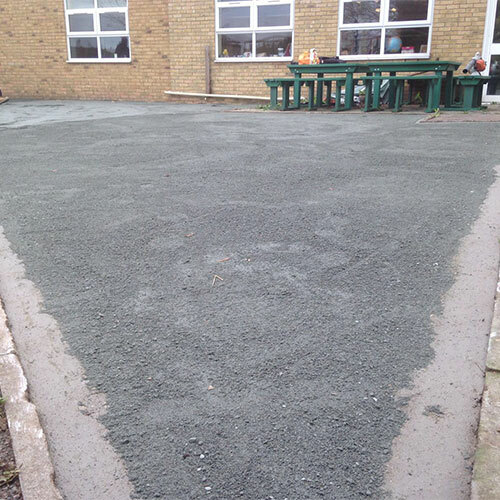 We had already done a lot of work for the Trust that owns this school and because they liked our high standards of workmanship they invited us back. The overgrown area had at one time been used to grow vegetables but due to the high maintenance of the patch it had become a bit unruly. 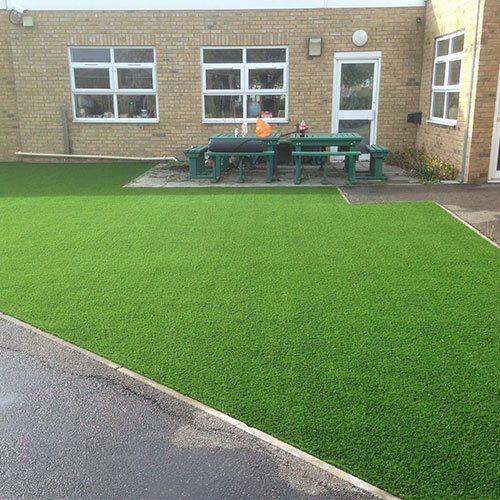 A simple, easy to maintain artificial grass play area would be of much more use to the young children. So we got to work! 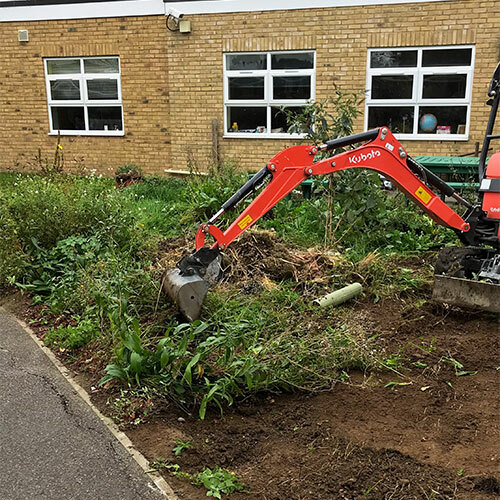 Our mini digger cleared the top growth and a mighty 12 tonnes of waste. This took the level 3-4 inches below the surrounding paths. A concrete fillet was placed around the edge to attach the grass to. 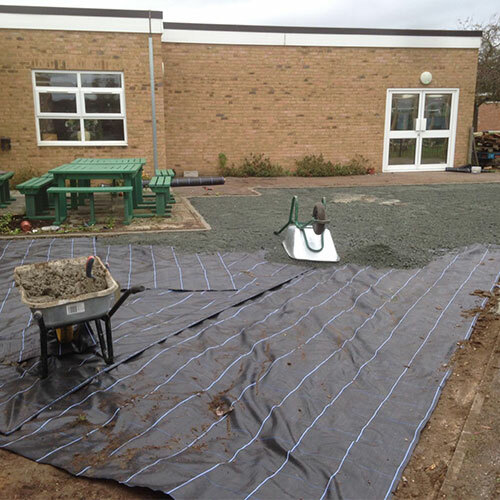 A membrane was laid and 8 tonnes of Type 1 topped with 4 tonnes of granite dust was placed to bring the lawn to the correct level and to create the perfect long lasting surface to lay the artificial grass on. 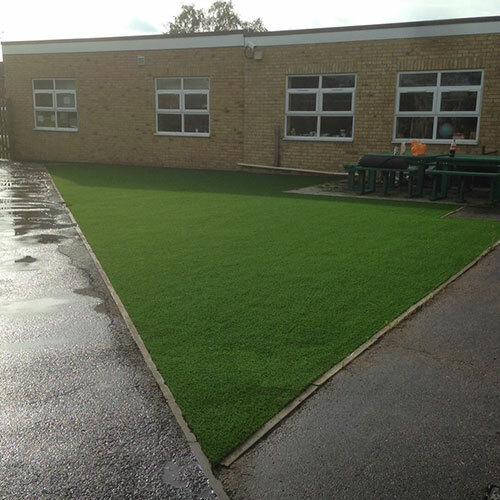 The Outfield artificial grass was chosen for its 25mm pile which is a perfect height for the little ones to run around on.